Sunnyland Mills is a family-owned food processing business in Fresno, California that has been producing premium quality quick cooking specialty grains for food distributors, manufacturers, and exporters since 1935. When your family name is at stake, you have an extra incentive to do things right. That’s why getting it right, every time, was the guiding principle of our founders and it’s how we approach every process today. Sunnyland Mills is a family-owned food processing business located in Fresno, California. Since 1935, we have been producing premium quality specialty grains for food distributors, manufacturers, and exporters throughout the United States and the world. As the only full-time premium bulgur operation in the United States, when it comes to whole grains, Sunnyland Mills is the industry leader. We are a company that not only looks to the future, but invests in today. Sunnyland Mills brings high-quality ancient grains to the 21st century through our time-tested processing technique that originated in the Middle East more than 4,000 years ago. With taste and functionality based on a millennia of tradition, we use only all-natural grains – no chemicals, additives or artificial ingredients. Sunnyland Mills was founded in 1935 under the name of Sunnyland Bulghur Company, Inc. by the Perch Family, father, Harry Perch, and sons, George and Jivon Perch, whose original bulgur process used the traditional Middle Eastern way. Almost immediately Sunnyland Bulghur Company became known as the premium bulgur wheat manufacturer and, with growing demand for their high quality product, the Perch family soon perfected a continuous method of processing that was unique in the industry. For more information on the Perch Family’s ownership history of Sunnyland Bulghur Company, click here. In 1977, George and Jivon Perch sold the business to another pair of brothers, Carl and John Orlando. The Orlando brothers’ innovative ideas modernized and improved the process resulting in a higher quality finished product. In 1993 to reflect the company’s growing product line, the name was changed to Sunnyland Mills. Upon John Orlando’s retirement in 1995, two of Carl’s sons, Mike and Steve Orlando, purchased the business. Along with other improvements to the processes, the second generation of Orlando brothers introduced certified Organic Bulgur products, Brown Bulgur, KAMUT® Khorasan Bulgur Wheat, and Grano-Golden Pearled Durum. Today, Sunnyland Mills is the leading modern bulgur wheat manufacturing facility in the world and continues the legacy of a family business committed to delivering superior quality, whole grain, natural products. Sunnyland Mills’ mission is to be the industry leader in the production and distribution of the highest quality, specialty grain products. We take great strides in producing a superior quality product because of our personal level of commitment. In all instances, we dedicate ourselves through the advancement of our quality and food safety programs by obtaining the latest, stringent certifications by accredited third parties. Sunnyland Mills will accomplish our mission by steadfastly standing behind our products and remaining committed to the well-being of our customers, suppliers, distributors and team members. We will provide an environment that includes opportunity for all, while producing a fair return for our shareholders. Above all, we are thankful for the many gifts that God has provided and ask for His continued grace and guidance. Sunnyland Mills will be a highly visible company that is known for its commitment to integrity, honesty and quality products. We will be the industry’s most desired producer and distributor of food products that are nutritious, all natural, and wholesome. We will be the industry’s most desired employer, one that cares about its people, their families, their faith, our community, and all things that lead to the success we share together. We will be a company that constantly looks to the future and invests in it, as well as the future of our team members and families. We will employ the most professional, loyal, dedicated and hard-working people in the industry who will be proud to work for Sunnyland Mills, and we will be proud to have them as long-term members of our team. The values that create Sunnyland Mills’ culture are based on a fundamental respect for the rights, aspirations and dignity of every individual customer, supplier, distributor, fellow team member, and others with whom we come in contact. Integrity, both personally and professionally, is standard in our performance and the key to the respect and trust we earn from our team members, as well as our customers, suppliers and distributors. Treating each team member with the same level of respect, support and professionalism with which we treat each valued customer, supplier and distributor. Loyalty, by offering our team members the opportunity to grow and provide for their families. Understanding that the customer’s long-standing perception of the quality of our products and our service is the defining criteria. We value our suppliers and distributors and will strive to take their needs into consideration as we manage our business. Shortcuts? Never heard of them. Our modern manufacturing plant, engineered with state of the art machinery and technological advances, produces superior quality bulgur wheat. Efficient processes and a stringent quality control program are essential to the success of Sunnyland Mills’ food-processing plant to ensure food safety and a consistent product produced to tight specifications. By ensuring that our plant meets global, federal and state food processing regulations, our customers rest assured in the knowledge that the product they are consuming is safe and free of food contamination when it leaves our plant. The cleanliness of our plant and our attention to detail is unsurpassed in the industry. Quality was not something that Sunnyland Mills had to learn, it was inherent in the company’s foundation. Our team members have the kind of single-minded devotion to quality that has allowed Sunnyland Mills to become the most recognized brand of premium Bulgur Wheat in the United States. Technology, innovation and regulations continually evolve. 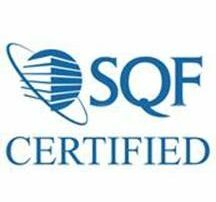 In order to adhere to the strict standards of food security, Sunnyland Mills has implemented safety assurance and action plans, including a Hazard Analysis and Critical Control Points (HACCP) program, a Safe Quality Food Audit Program (SQF), and standard Good Manufacturing Processes to protect our food products and team members. Through direct control of raw material inspections; food safety programs, including an exclusive triple-cleaning method; supplier guarantees; finished product testing, including magnets and metal detection; and assurance protocol, including an active recall plan should a rare event take place, we continuously monitor every batch of our manufacturing process, ensuring quality products from farm to table. Our knowledgeable and experienced staff has been trained to provide a superior brand name with low risk, safe, quality products that have been recognized for over seven decades. Sunnyland Mills is a long-standing member of the leading international food safety associations, as we helped found the Whole Grains Council. We are proud to have earned global food safety certification through SCS Global Services, and our products are Non-GMO Project Verified and carry the 100% Whole Grain stamp. Sunnyland Mills is a leader in solar power generation. With the help of the California Solar Initiative, we decided to go back to bulgur’s roots of using solar power to produce our products. For the first 20 years of operation, Sunnyland Mills used the sun to dry the cooked wheat berries. We now use the sun to produce a significant amount of the electricity we use to help run our plant. By doing this, Sunnyland Mills reduces the amount of Carbon Dioxide, Nitrous Oxide and Sulphur Dioxide from going into the atmosphere. Skylights in our plant reduces the need for electric lighting. Recyclable products are used in the packaging of our products. Treated effluent removes most of the starch in our waste water. Our by-products are sold for animal feed. Recycled pallets are used to ship our products. Our recycling program includes waste paper and plastic. With the changes we made to our sanitation system we are saving approximately 450,000 gallons of water per year. We recognize that we have both an impact and a dependence on biodiversity through our business operations and use of ecosystem services, such as agriculture, manufacturing, soil, and water. Under our business principle of good corporate conduct, we aim to minimize our impact on biodiversity and the wider environment. Part of this commitment means minimizing or mitigating our impacts on biodiversity and linked ecosystem services, or where this is not appropriate or most beneficial, offsetting those impacts at a regional or national level. We will always ensure that our business is in compliance with all state, national and local regulations as a minimum requirement. We commit to assessing our impacts, i.e., we will identify areas of high biodiversity value and understand our impacts on ecosystem services. In addition, we will undertake impact assessments in areas of high biodiversity value where our ecological footprint is changing due to an increase or reduction in grain production or changes to production methods. We will also take steps to share information with suppliers, assisting them in understanding and managing their impacts on biodiversity, hence minimizing our impact throughout the supply chain, e.g., in the sourcing of grain processing chemicals, maintenance supplies and packaging materials. We will undertake these assessments, engaging with stakeholders such as farmers, conservation organizations, universities and governments, to understand local issues and take into account their needs and requirements. These assessments and stakeholder engagements will lead to action plans, to minimize, mitigate or offset our impacts, with effective monitoring mechanisms to ensure such action plans are implemented. This statement will enhance the integration of biodiversity conservation principles into our business. We further believe that we are the stewards of our environment and that our environment is a gift from God. Conservation and recycling of raw materials and reduction in the amount of waste generated by the company’s production processes. All Sunnyland Mills facilities will operate in an environmentally responsible manner and in compliance with environmental laws and regulations. Sunnyland Mills will maintain compliance programs to inform and train team members in the performance of their duty to fulfill the company’s environmental policies. Through audits and other means, the company will monitor operations to assure that practices in our workplaces conform to our policies. Sunnyland Mills’ management will make environmental responsiveness and resource conservation an integral part of business management, and will support finding sound solutions to such environmental problems as may arise. Approximately 40% of our electrical power will be generated by our on-site solar power facility. Sunnyland Mills is determined to achieve the highest standards of ethical trading throughout its extended supply chain. We seek to gain agreement to our Ethical Trading Policy from our suppliers. We recognize that within our supply chains there are different national cultures with their own laws, norms and traditions, which we acknowledge and respect. Some suppliers will face more complex issues than others in implementing our Ethical Trading Policy. In these areas, Sunnyland Mills is committed to working with relevant bodies to deliver effective action plans for change. We believe that, by working together with our suppliers, we can strengthen our business and improve the quality of life of the people whom we touch. The Ethical Trading Policy exists for the purposes of promoting safe and fair working conditions and the responsible management of environmental and social issues in the Sunnyland Mills supply chain. Sunnyland Mills requires all team members at all times to act honesty and with integrity and to safeguard the resources for which they are responsible. Fraud is a threat to these resources and hence must be a concern to all team members. The purpose of this statement is to set out responsibilities with regard to the prevention of fraud. Developing and maintaining effective controls to prevent fraud. Carrying out vigorous and prompt investigations if fraud occurs. Taking appropriate legal and/or disciplinary action against perpetrators of fraud. Taking disciplinary action against supervisors where supervisory failures have contributed to the commission of the fraud. Identifying the risks to which systems and procedures are exposed. Developing and maintaining effective controls to prevent and detect fraud. Ensuring that controls are being complied with. Acting with propriety in the use of official resources and in the handling and use of corporate funds whether they are involved with cash or payments systems, receipts or dealing with contractors or suppliers. Reporting details immediately to (their line manager or next most senior manager) if they suspect that a fraud has been committed or see any suspicious acts or events.